If you’re a beer-lover, Czech Beer Week UK from the 17th-23rd of June is something to look forward to. Czech beer culture is one* of the world’s greatest, yet curiously it is one that most people will have only seen a small slice of. From traditional to craft, and back again. Indeed, pretty much all we saw in the UK until a few years ago were a those big-brands owned by multinationals – chiefly Staropramen (owned by Bass, now Coors), Pilsner Urquell (SABMiller, now Asahi), and perhaps Krušovice (Heineken). 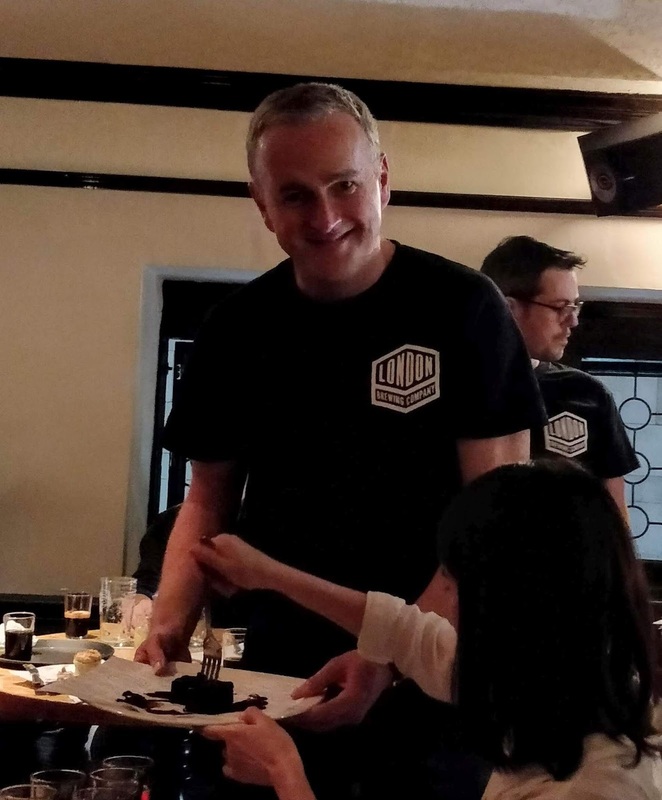 That has been changing, with a few more coming in, but while some are family-owned, such as Bernard, others are yet more big-brand subsidiaries – Kozel and Radegast are both Urquell/Asahi, for example. There is plenty more change to come, though – even more so this year, as their government export agency CzechTrade is working to bring more small brewers to the UK market via importers such as Euroboozer and Pivovar UK, as I discovered last summer at the Czech Beer Day event that it held for the trade. Just as English brown bitters tend to resemble each other, many Czech beers are also very similar in style – some are better than others, but most are recognisably similar golden lagers. That’s no surprise, according to one of the brewery reps I chatted with at Czech Beer Day last year. “Czech customers are still very local-orientated, so all the breweries produce similar beers, but for their locale,” he said. Of course, there are other Czech beers too, including the inevitable IPAs and ales of other sorts. 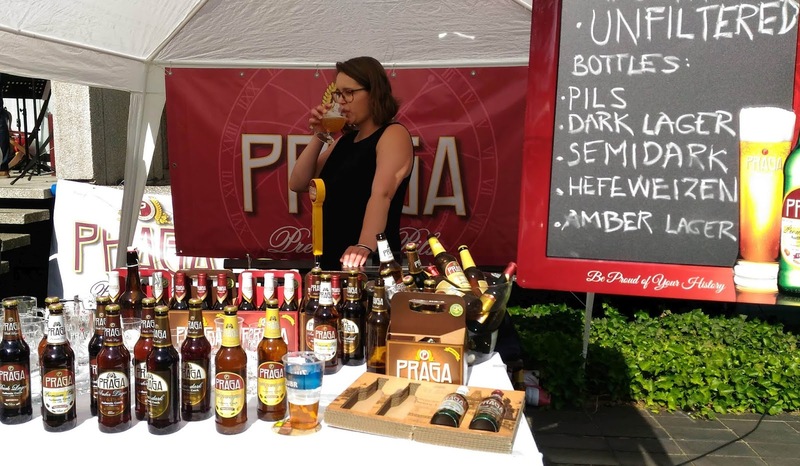 As everywhere, Czechia is having a Craft Beer revolution of sorts, and true to form this has generated quite a few local copies of styles from elsewhere – American IPAs, English pale ales, and so on. We had a few at Czech Beer Day, those I tried (mainly from Pivovars Permon & Clock) were very nice examples of their styles. Sometimes the tradition is the craft. This variety is also a sign that Czech brewing is definitely on the up. It’s a far cry from just a few years ago, when things looked pretty bad, when the nationalisations of the Communist period were followed by a somewhat botched privatisation process which led to yet more brewery consolidations and closures. Now, as well as newly-formed breweries, there’s even been some closed ones brought back into production, such as Jarošovský, whose Ležák 12% was definitely my favourite lager of last Czech Beer Day, and a few contract-brewed brands, such as Praga (pictured). Useful things to know if you want to get into Czech lager culture include a few key words such as Světlý – pale, Tmavé/Tmavý – dark, and Ležák – lager. Then there is Granát, which translates both as grenade and garnet – the semi-precious stone being the appropriate one here! Originally it was a blend of light and dark lagers that produced the deep red colour it was named for, but now it is often brewed ‘entire’, as we say in English, meaning as a single beer. It’s also sometimes called Temně, or semi-dark. And there’s how the beer is poured. A few years ago, I went to an event hosted by Urquell, where their spokes-barman explained that there’s at least three main styles of pour, some of them distinctly weird. I was a little sceptical at the time, but another brewery rep at Czech Beer Day last year confirmed at least some of the details, adding that it varies between breweries too. *Alongside British, of course, which is where Groll & co got the pale malt technology for Pilsner, and Belgian, which has become the custodian of legendary and almost-lost beer styles that were once common across Northern Europe. Then of course there’s German beer culture. Americans often prioritise this one, perhaps biased by their huge influx of German brewers in the 1800s (think Anheuser, Busch, Pabst, Coors, Schlitz et al). But even there, much is owed to what’s now Czechia – most obviously, Bud is named for Budweis in Bohemia, although a local surely wouldn’t recognise it as a Bohemian Lager. Now there’s something you don’t see every day: mead on tap. And not just that, there’s even frozen mead cocktails and seasonal meads made with specific honeys. Welcome to Gosnells at the Coal Rooms, upstairs in old railway station buildings at Peckham Rye, which officially opened just a week ago. Peckham, as in “Only Fools and Horses”, “Desmond’s” and Rose Tyler’s council estate home? Yup, that’s the one. While the station is now surrounded by grime and graffiti, it must once have been pretty grand. 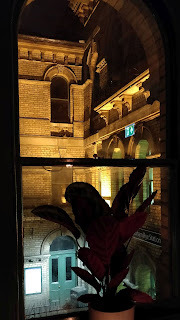 The area seems to be recovering some of that too, judging from how busy the upmarket restaurant on the ground floor was, even on a Monday evening. It’s also where Gosnells brewery is – about two minutes from the station, said Tom Gosnell. He added that there is a small taproom there, but it’s on an industrial estate, so the town centre made a lot more sense for their ‘proper’ brewery tap. And a nice mellow set-up it is too, with a relaxed gastro feel to it, excellent bar food from the restaurant kitchen downstairs, and of course mead on tap. 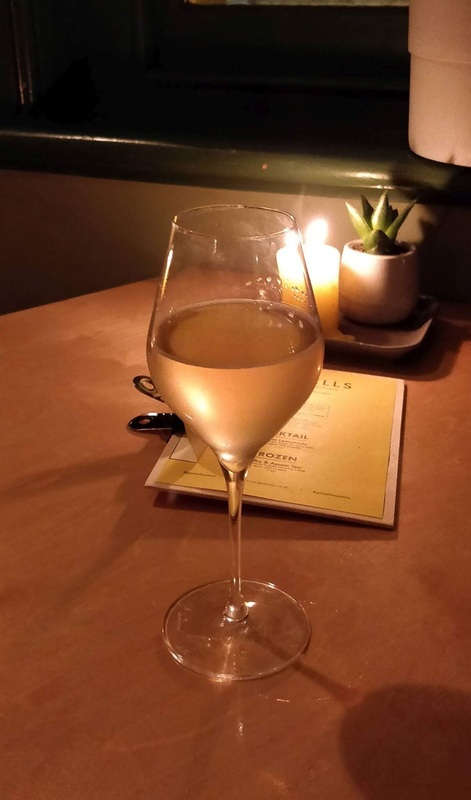 Gosnells London Mead is medium-sweet to my taste, light-bodied with distinct but not cloying honey notes. If it’s chilled, an unusual aroma of orange juice emerges too. It is also quite light in alcohol terms, at ‘just’ 5.5%, making it a Hydromel in meadmaking parlance. By comparison, most commercial and home-made meads will be honeywines upwards of 12%, with popular sweet fake-meads such as Lindisfarne and Bunratty weighing in at almost 15% (they’re fake because they’re actually grape wines with added honey). He said he came up with his recipe about four and a half years ago. It has a kilo of honey per five litres of water, and a Pilsner lager yeast – by comparison, mine has around twice the proportion of honey and a wine yeast – and that they stop the fermentation and pasteurise to get the desired flavour and strength. Although the regular brew was called London Mead*, the locative referred to where it’s made, not the ingredients – it’s actually made with Spanish orange blossom honey (hence the aroma). It’s the same problem I’ve heard before – there just isn’t enough locally-produced honey. 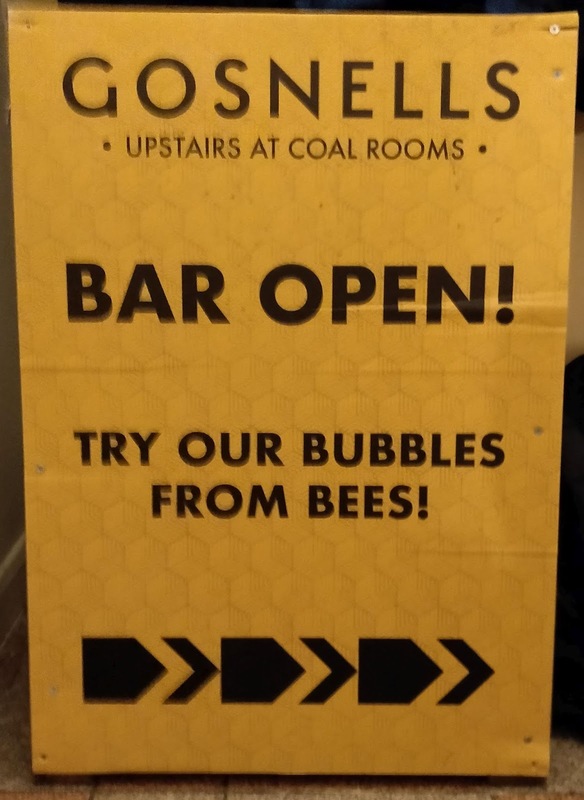 Gosnells can get sufficient local honey to make monthly single-origin specials, however, such as the 8% ABV Biggin Hill mead that we also sampled, which was made using honey from Kentish beekeeper “Dave from Biggin Hill”. This was rather drier than the draught mead, and had an intriguing almost beer-like malty character. “It shows two extremes of what you can achieve with mead,” Tom explained. 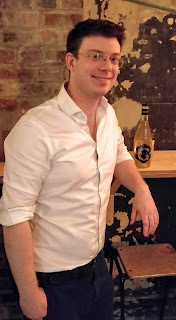 “It’s all about doing something different with the honey you’ve got – you taste the honey and adjust the process...” He added that they – he has a head brewer now, rather than making it all himself – also do specials with adjuncts, meaning extra flavourings such as hibiscus or hops. 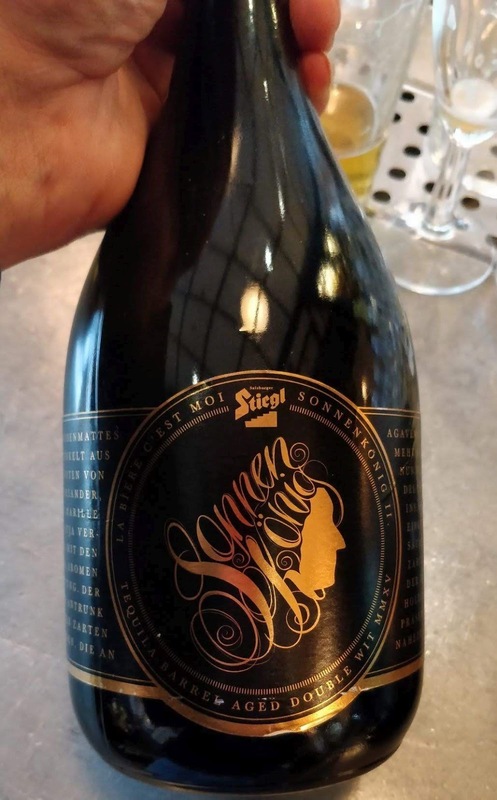 Indeed, one of the others we tasted was their intriguingly tangy Citra Sea Mead, which is flavoured with lemon peel, tarragon, Citra hops and a dash of sea salt. *I say it ‘was’ called London Mead because it went through a rebranding last year. It’s now simply called Gosnells, and is sold in 75cl bottles instead of 330ml. The aim was to move away from the usual association of mead with beer – for example, major beer-lovers websites such as Ratebeer and Untappd also list both meads and ciders – and towards the wine market instead. I can’t help thinking that would make more sense for a 12% honeywine mead than a 5.5% hydromel, but there you go. After an evening in the Bottleshop Bermondsey with the folks from Duvel Moortgat UK, who were launching the latest Duvel Barrel-Aged edition, I’m still in two minds about barrel-aged beers. Are they better as they come from the barrel, or should you taste them carefully and blend back for a ‘beerier’ flavour profile? This is the third year Moortgat has run this project. 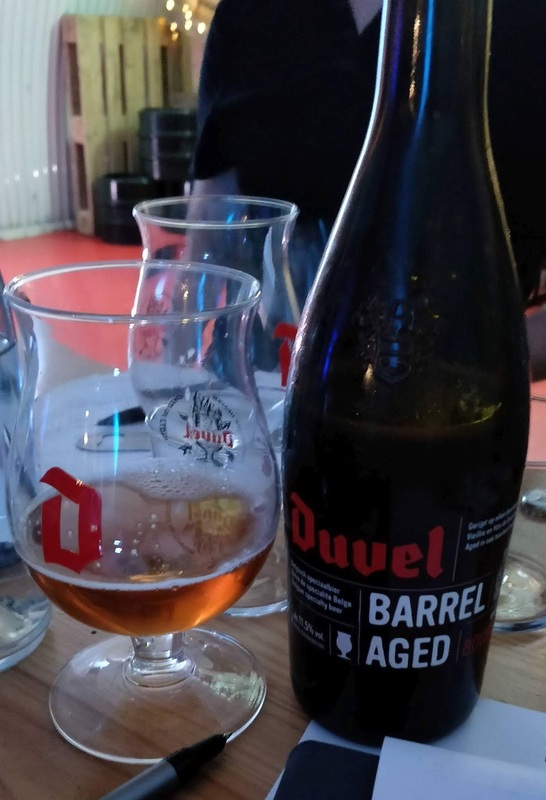 The first batch used 100 Kentucky Bourbon barrels, said Duvel UK marketing manager Natalya Watson, while the second had 190 and the latest was put into 351 barrels last year. 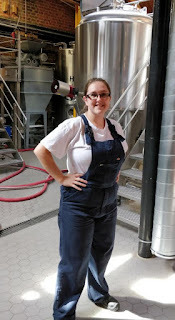 She wasn’t sure if they were new barrels every year, but from reading Duvel's website I think they re-use them after re-impregnating with fresh Bourbon. They now have barrels from six different distilleries, including Four Roses, Buffalo Trace, Heaven Hill, Jack Daniels and so on. This highlights the challenge of acquiring used barrels in bulk, which is why I reckon they're being re-used. The aged beer was all blended together for consistency before bottling, Natalya said. Bourbon barrels are 200 litres or 53 US gallons, and each yielded enough to fill around 240 75cl bottles – I suppose the 10% disparity must be leakage and other ‘process losses’. 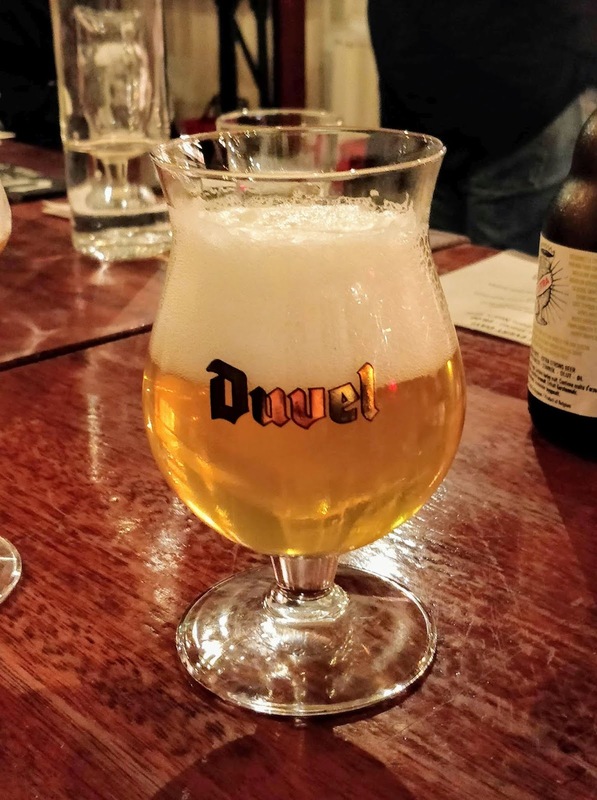 The result is an amber-brown beer that almost glows in the glass and has aromas of sweet vanilla Bourbon, quite unlike the yellow of Duvel itself, with its lemony spicy-hoppy nose. The barrel-aged version is rather sweeter too and warming, with more vanilla and an unexpected faint salty note in the finish. It’s a lovely beer, and people all around were enjoying it for itself, but for me it was a little too barrel-heavy – too much like drinking Bourbon. So since we had both on hand, I tried mixing some Duvel Barrel-Aged with bottled Duvel in about a 50/50 blend. The result was a little lighter, drier and more bitter, livelier (the barrel version had only a very light sparkle) and yes, beerier. I’m not sure what this proves, however, apart from the fact that tastes and preferences vary! Natalya also introduced those of us who’d not met it before to Duvel on Tap. 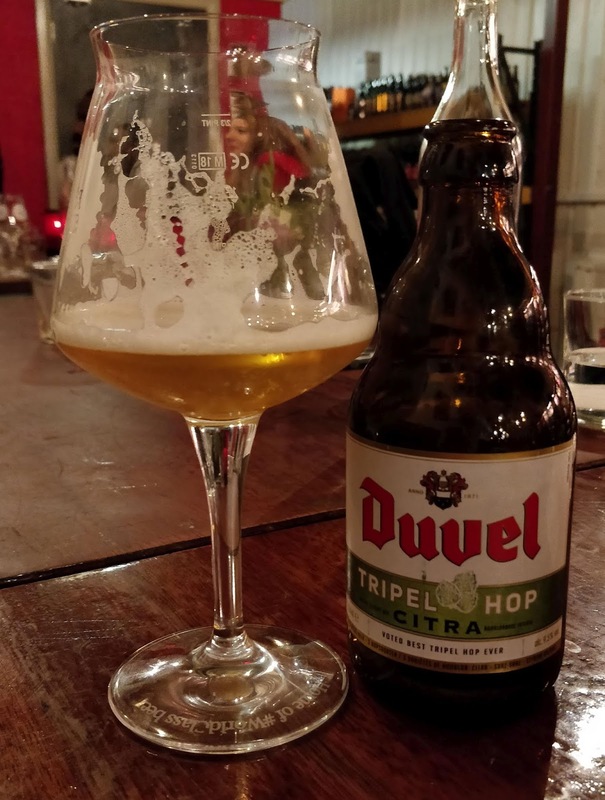 This is not a draught version of bottle-conditioned Duvel, but the same beer put into kegs and keg-conditioned (yes – if it weren’t for the carbonation that would make it real ale). 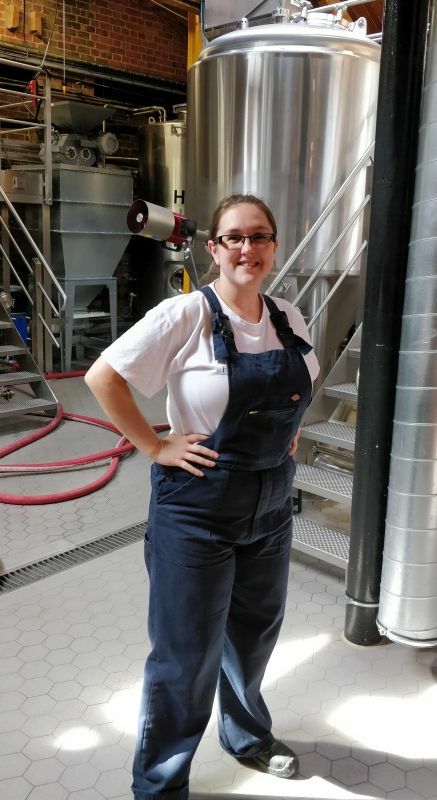 She explained that the distinction is important because Belgian brewers typically adjust their recipes for kegging, in particular lowering the carbonation to avoid fobbing (excessive froth). Duvel’s brewers didn’t want to do that, so instead they came up with a new dispense system for their branded fonts. 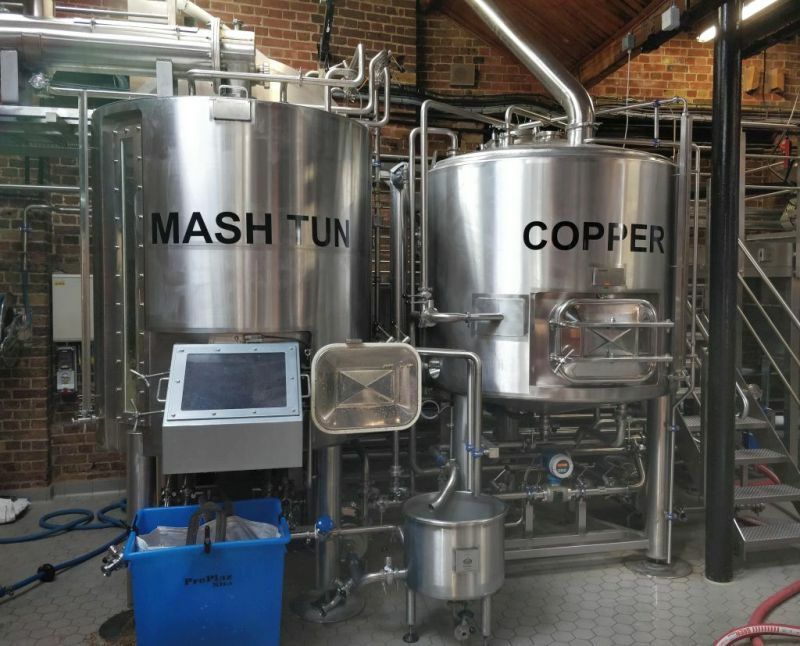 The problem was that it’s a remarkably gassy beer – its CO2 content is twice that of standard keg beers and three times that of many craft beers. The solution involved two metres of 3mm piping (far narrower than usual, and non-reusable as it’s too fine to clean) to ‘break’ the pressure in the keg, plus anti-fobbing training for the barstaff. The initial problem for me was that it was too heavily chilled. Duvel recommends 5C for the bottled version, which I think is already too cold, but I reckon the tap beer was even colder (annoyingly, I’d no thermometer with me to check). Still, too cold is better than too warm, and once the chill had lifted the beer opened up considerably while remaining very drinkable. Mind you, despite being the same 8.5% brew as the bottled Duvel (and Duvel Tripel Hop) we’d been drinking earlier, it didn’t seem as complex. The hops were still there, but not the lemony-spicy note – I wonder why, if they’d got everything else pretty much the same? Still, a lovely beer and one to watch out for. What is bottle-conditioning – and why do we do it? 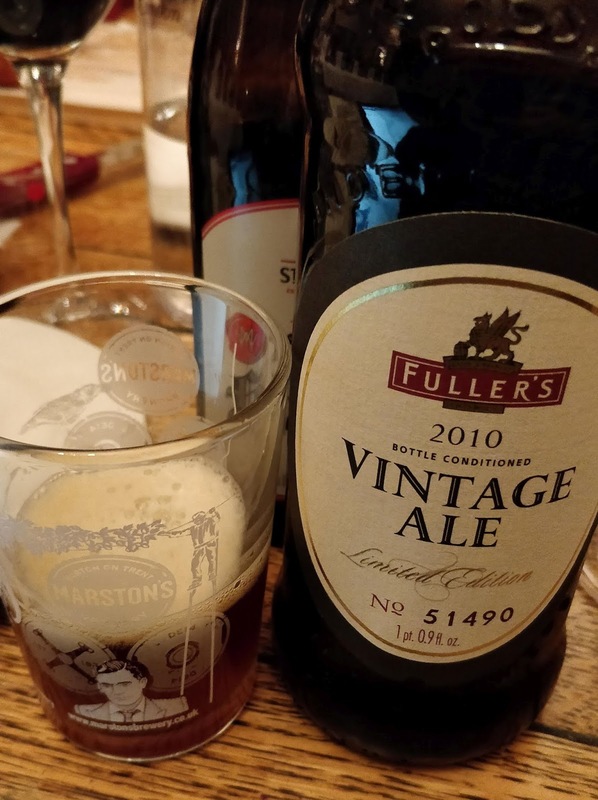 “Bottle-conditioned beers are not some sort of poor relation to cask, they exist in their own right,” declared John Keeling, former head brewer at Fuller’s, now retired. “A bottle-conditioned beer can never ever be the same as a cask beer, the reason is it will probably be a lot older.” He explained that while most cask beer has a shelf life measured in weeks, “most bottle-conditioned beers haven’t even left the warehouse at 6 weeks old! 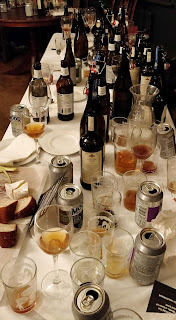 He was speaking at an event hosted by Marston's a few weeks ago, when a group of brewers and beer writers got together to discuss the past, present and future of bottle conditioning. We’d actually started by talking about the widespread assumption – fuelled in part by CAMRA’s ‘Real Ale in a Bottle’ (RAIB) validation scheme – that bottle-conditioned (BC) beers and real ales are the same thing. Where it gets more interesting is when you use bottle-conditioning as just one step in a more complex process, he added. By way of example he offered a BC version of Harviestoun’s already highly regarded Ola Dubh (Black Oil) which had been aged in Highland Park whisky casks then krausened – dosed with fresh wort – to return it to life. The result was stunningly good, rich and heavy with a whisky tint, treacle-sweet yet burnt-dry, fruity and complex. Along with John Keeling’s reminder that “in BC you get negative and positive reactions. They go in waves” as different microorganisms get to work on different components in the beer, it made me think: They’re both right, aren’t they? 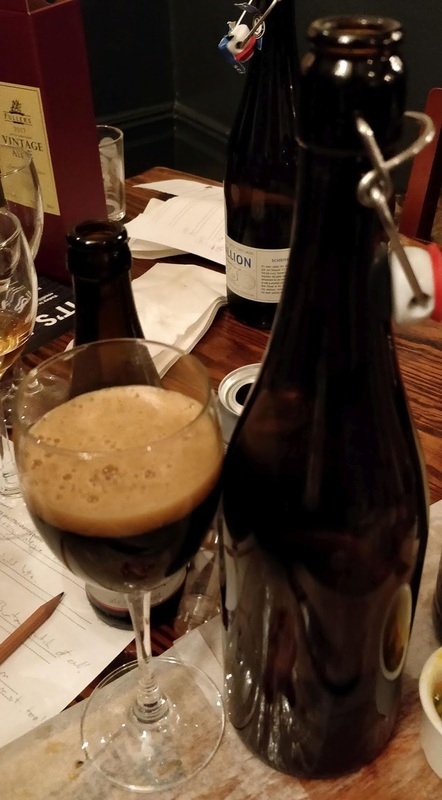 Yes, you can readily bottle beer brewed for cask, but that doesn’t automatically mean it ends up as ‘cask in a bottle’, because what happens to it next can be very different. To illustrate, he offered tastings of the 2017 and 2010 Vintages. 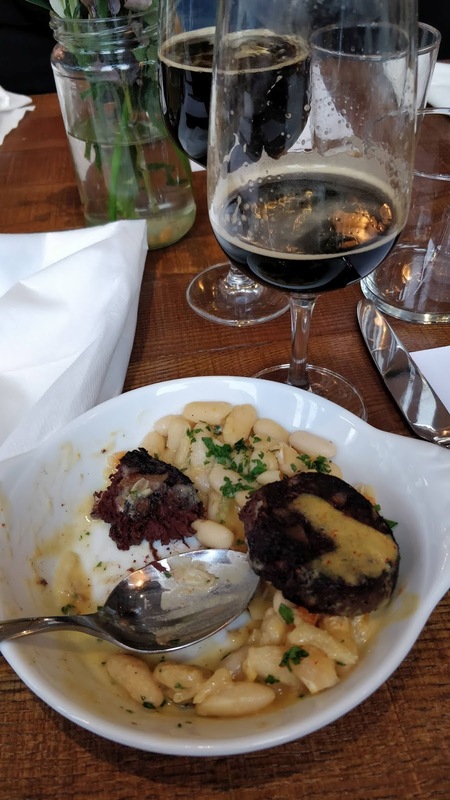 The former was rich and warming, fruit and lightly peppery, while the latter had picked up light oxidation notes – iodine, a little dry dustiness, a faint woody note – reminiscent of an old Madeira wine, in fact. Not everyone filters and re-seeds the beer with fresh yeast, mind you. St Austell head brewer Roger Ryman told how they used to do that, dating back to his strong witbier Clouded White winning the Tesco Beer Challenge. “It was unfiltered in the competition – we had to ask if market was ready for that, and we decided to filter then reseed,” he admitted. When the St Austell brewers subsequently tasted aged beers, they discovered that while others were showing signs of age, Clouded White was not. So then they did a BC Admirals Ale and two years later they added Proper Job to the BC list. The challenge, he added, is once your beer is selling well and you’re on double-shifts at the brewery, how do you find time to filter and re-seed it? So Roger experimented with unfiltered beer instead, and luckily the yeast in Proper Job settled really tightly, yielding an excellent result. So after a visit to Marston’s to see what they were doing, he designed a set-up that blends yeast and beer in controlled amounts as it goes to the bottle-filler. But to come back to the original question, is bottle-conditioned beer definitively different from real ale? Well, yes – if you take today’s real ales as your examples. But historically, probably not because in the past any vessel could potentially be used to age beer. In the old days, stock ales were aged in wooden casks, often in the brewery yard. 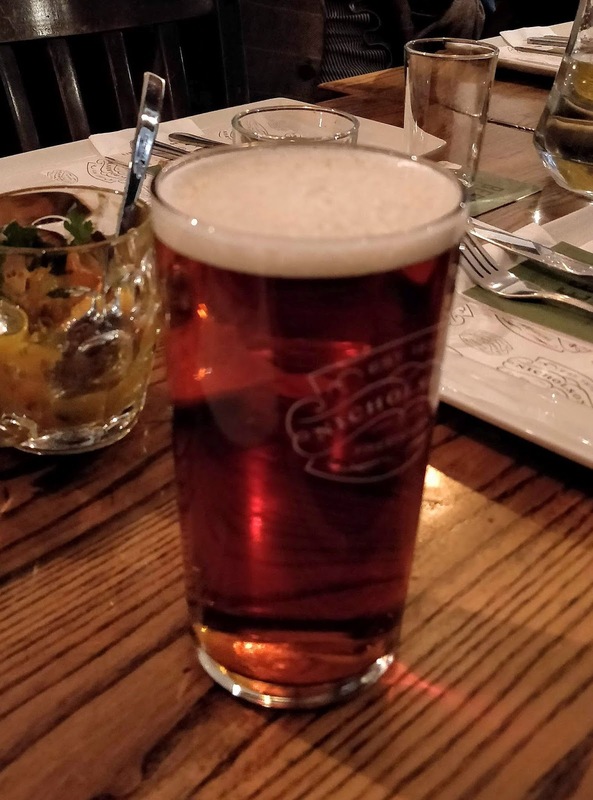 While it’s rare to age cask beers these days, it is sometimes done, and I’d argue the difference is as much to do with expectations as anything else – we expect cask ale to be fresh, not aged. 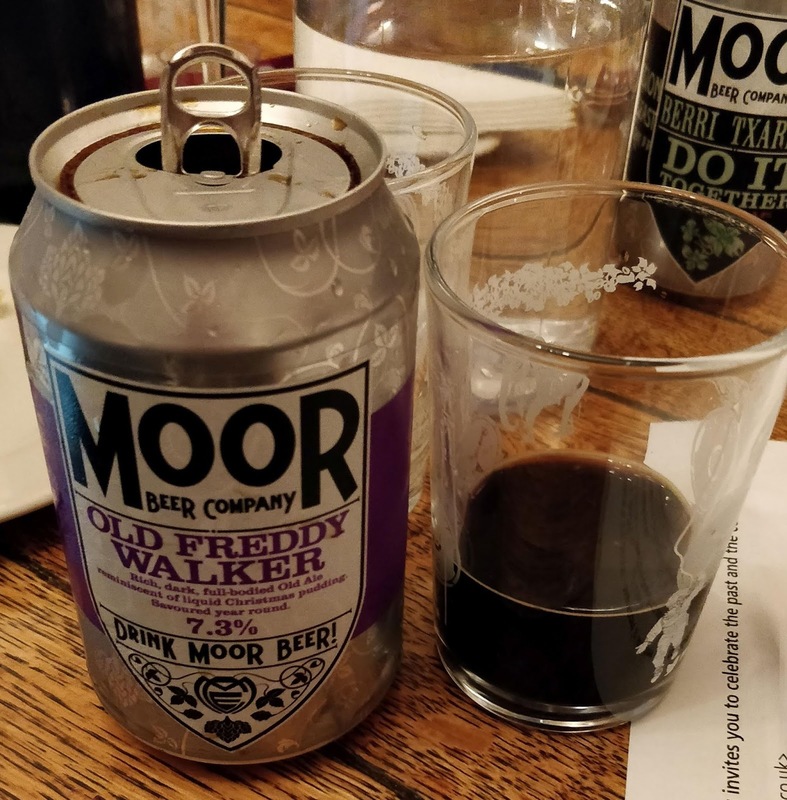 And cask-ageing is making a comeback – if, like some commentators, you regard cans as tiny kegs or casks… One of the pioneers here is Justin Hawke of Moor Beer, whose canned beers were the first to be accredited by CAMRA as real ale – that is, they contain live yeast, and the beer continues to develop (condition or referment) in the can. One thing is for sure – whatever the motivation, the popularity of bottle-conditioned beer shows no sign of abating. Jeff Evans, formerly editor of CAMRA’s Good Beer Guide, and more recently of the Good Bottled Beer Guide, pointed out that “at the founding of CAMRA, only five bottle-conditioned beers were known to be in regular production,” a decline which he argued had been driven in part by better bottling technology which made it possible to give people the clearer beer they wanted. It can hardly be a coincidence that the number started growing again as CAMRA first introduced a BC category into its competitions, and then began listing BC beers in the Good Beer Guide. 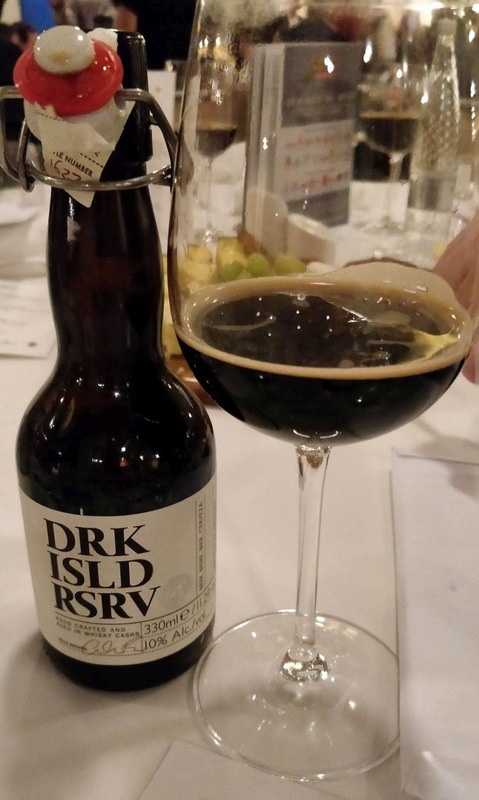 By the time the listing was spun off as the Good Bottled Beer Guide the number was well over 100, and by the most recent edition it was a shade under 2000. Producing a new edition would be a daunting prospect. 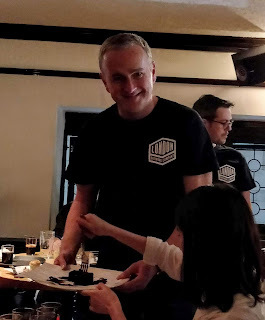 It would need to consider over 3000 from the UK, said Jeff, plus more from abroad, where some brewers have long preferred the softer texture of unfiltered live beer. Would it be worthwhile – do people still seek it BC beer out, I wonder? Or it is a case of it’s expected or assumed that some will be BC? Let us know in the comments below… Happy New Year!